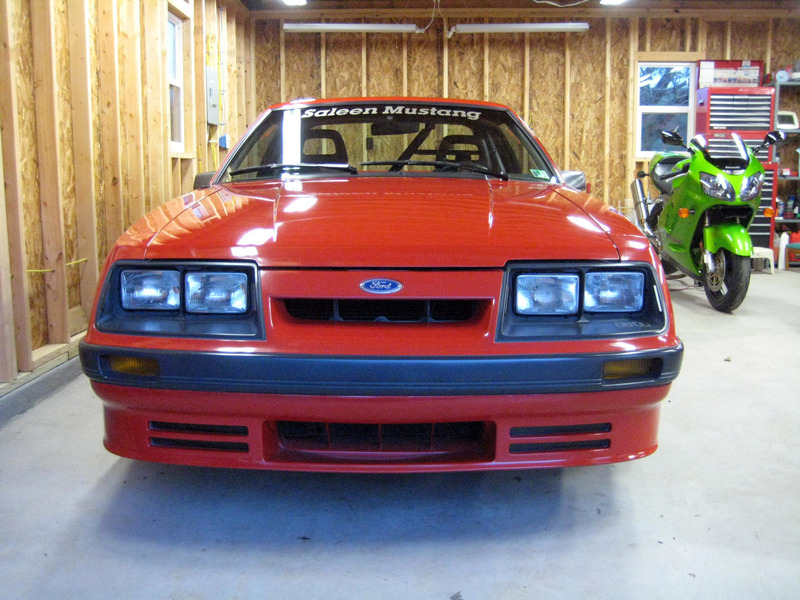 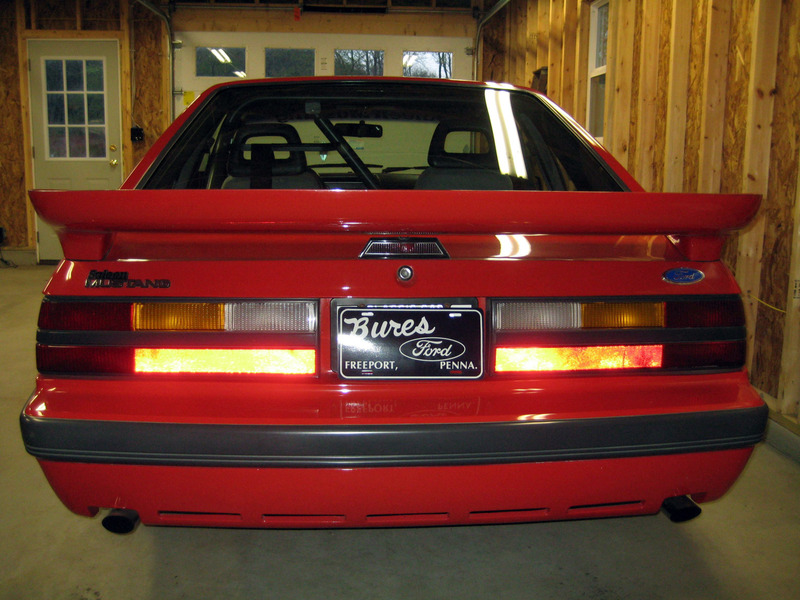 The ’80s were a relaunch of factory-backed racing efforts from Ford Motor Company. 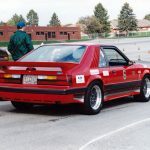 Earlier in the decade, with the birth of Special Vehicle Operations, FMC became a global juggernaut in all forms of vehicle racing through their Ford Motorsport program lead by Michael Kranefuss. 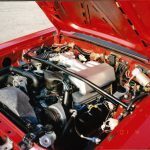 While Detroit was busy forming Goliath; a little-known Californian upstart run by Steve Saleen approached the Motorsport operation with his plan to remanufacture 5-Liter Mustangs into an uncompromised, signature series, street-legal, niche performance vehicle. 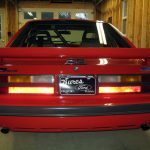 With SVOs blessing, the Saleen Mustang concept became a welcomed addition to FMCs Motorsport agenda and their “Racing into the Future” marketing vision. 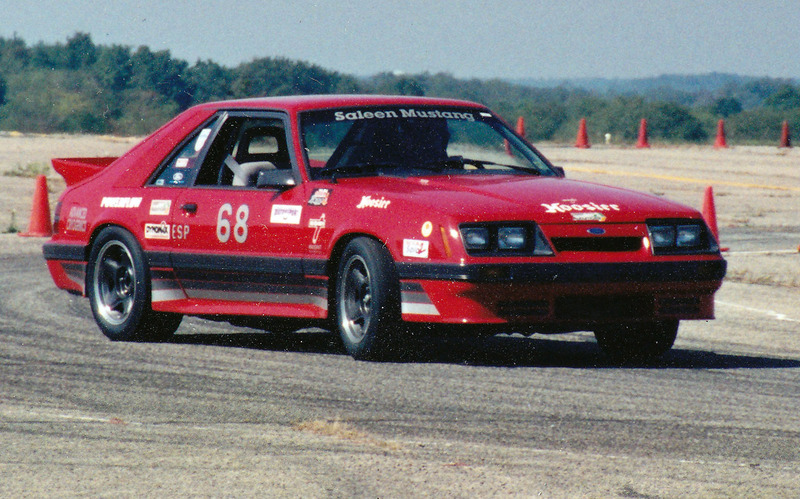 1986 was Saleen Autosport’s debut year into SCCA road racing. 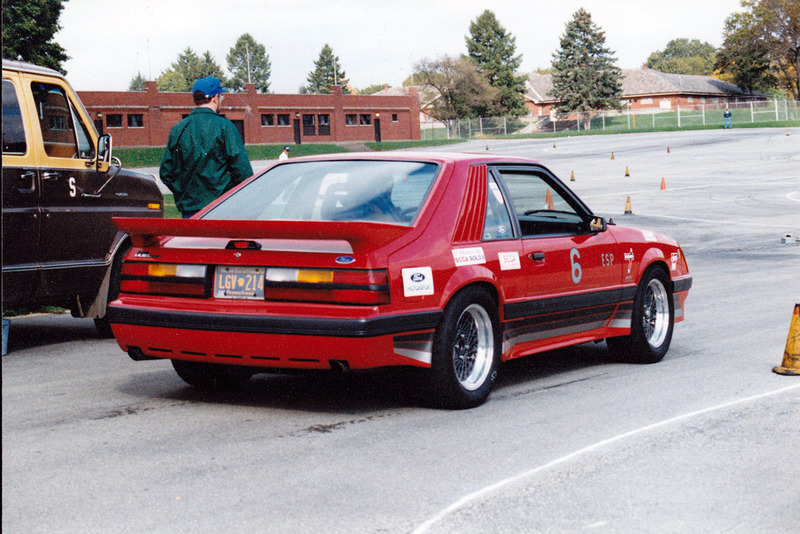 Their ’86 model year signature package was approved for SCCA Showroom Stock Endurance Series in class SS/GT. 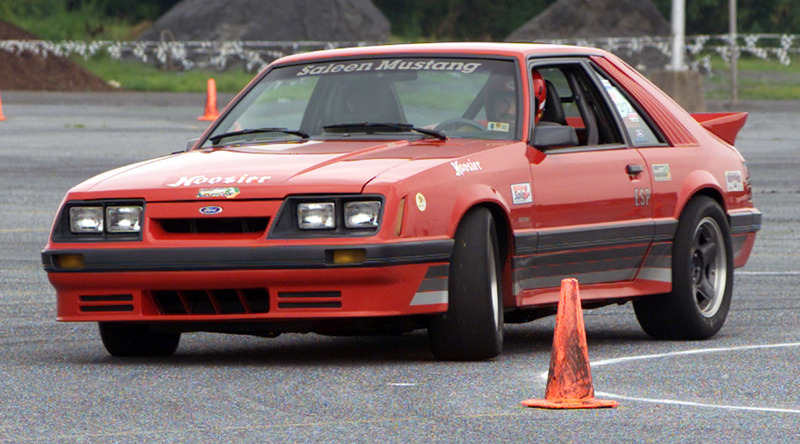 Saleen would compete with SCCA’s entire calendar of events; winning the prestigious 24 Hours of Mosport race late in the season. 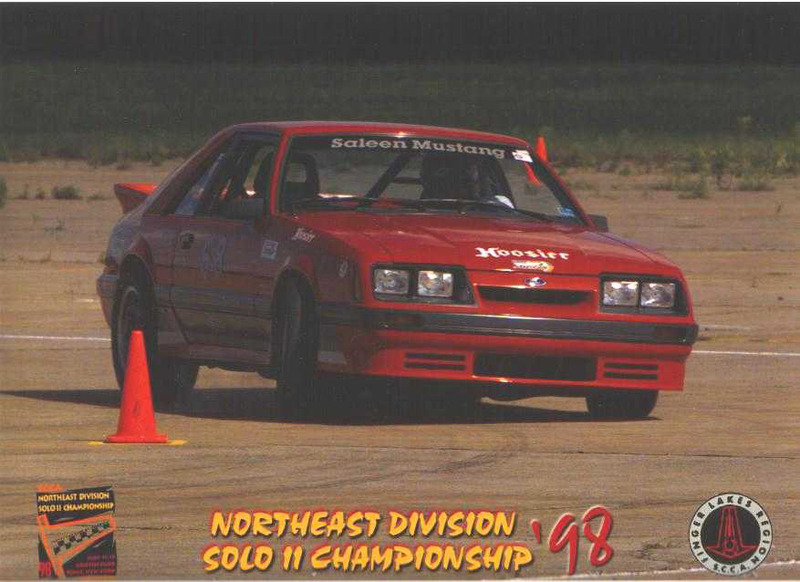 While the factory racing team was busy scraping paint with Porsche and Corvette on a national stage, effort was also made to endorse Saleen Mustang sales to regional racers seeking a value added, sanction approved performance package, for their dreams of clinching the checkered flag. 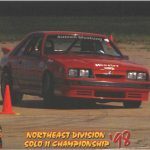 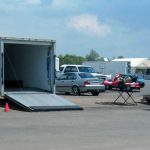 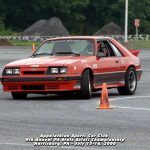 Through Saleen Autosport’s grassroots support program; experienced racers could special order a new vehicle and qualify for competition incentives throughout their competition season. 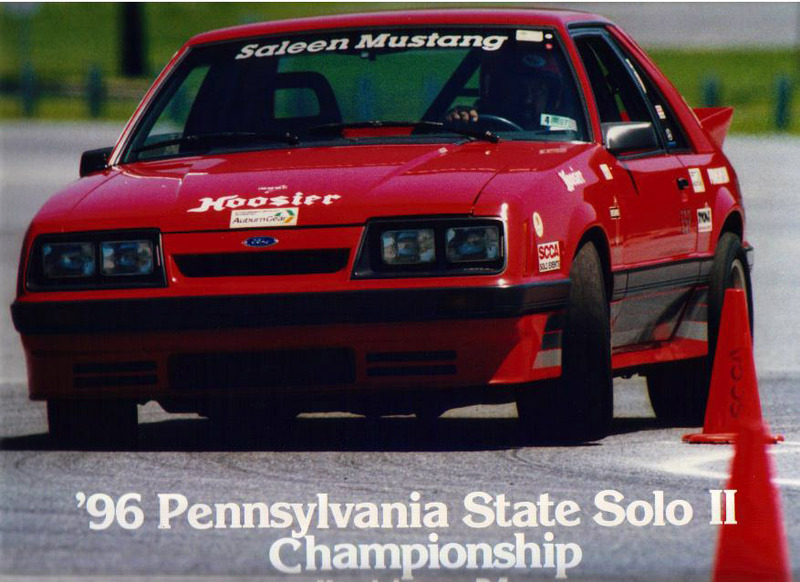 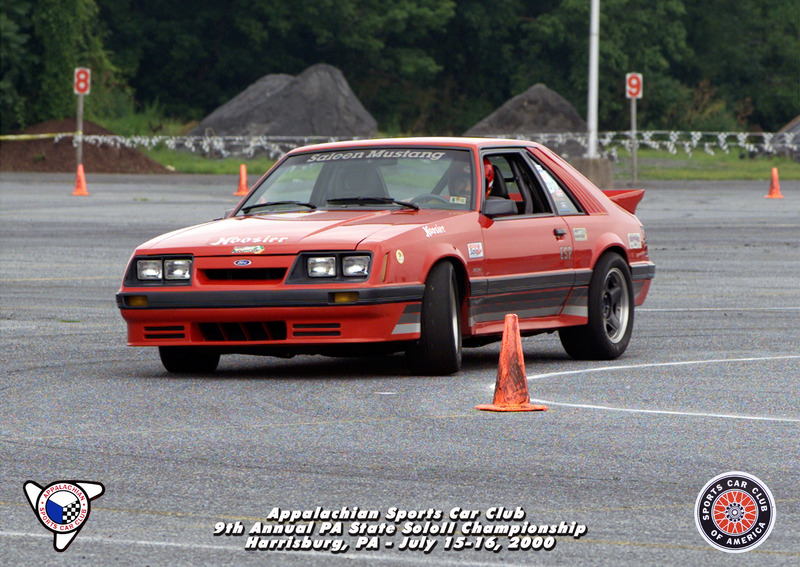 George Chabal, of western Pennsylvania, was one of Saleen Autosport’s earliest competition customers. 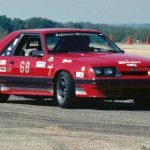 With an eye on the SCCA Solo II Series, George contacted Steve Saleen on how best to order a new Mustang for club racing. 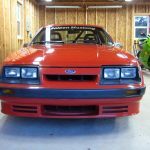 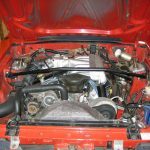 With Steve’s assistance they ordered a Bright Red 5-Liter LX hatchback with tinted glass, light group, power lock group and Ford radio delete. 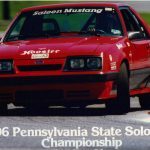 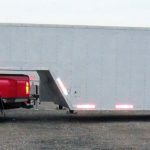 Other equipment would include Saleen’s standard Kenwood sound system, Ford Mustang GT seating and Hurst short-throw shifter; George would arrive to PA SCCA events in style. 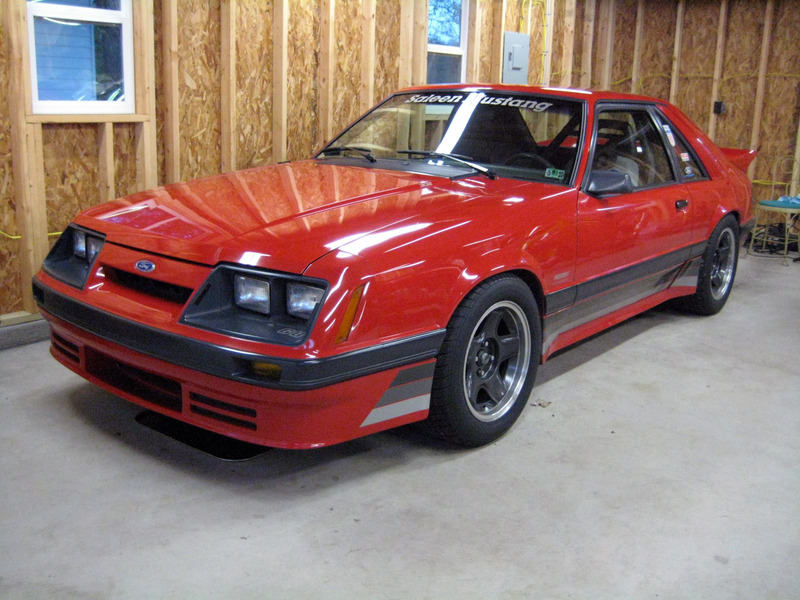 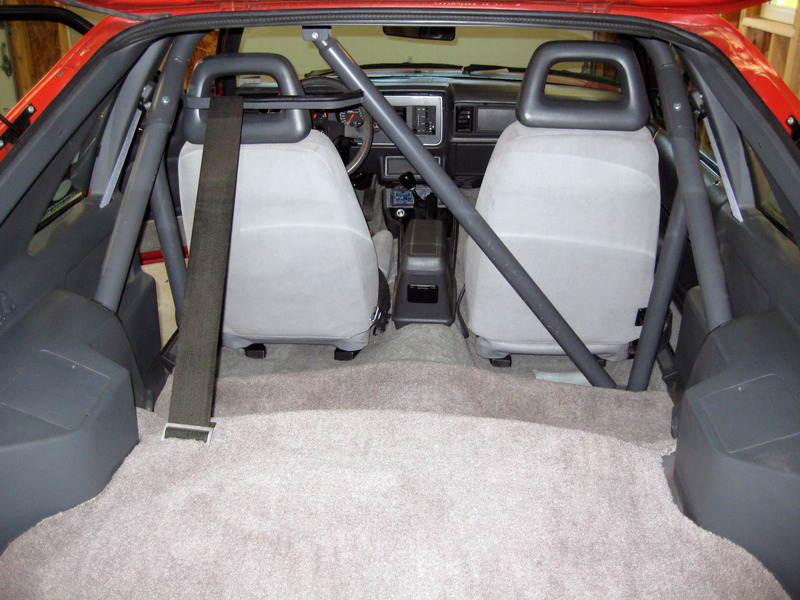 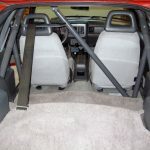 Produced by Saleen Autosport using their facility at Burch Ford in La Habra California and shipped to Bures Ford in early May; 86-0068 was an unusual Saleen Mustang conversion given the lack of air conditioning, power windows and featuring a light grey Momo steering wheel. 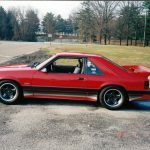 For the 1986 model year Saleen produced 201 serialized Mustangs, 198 were street models with three competition prepared vehicles. 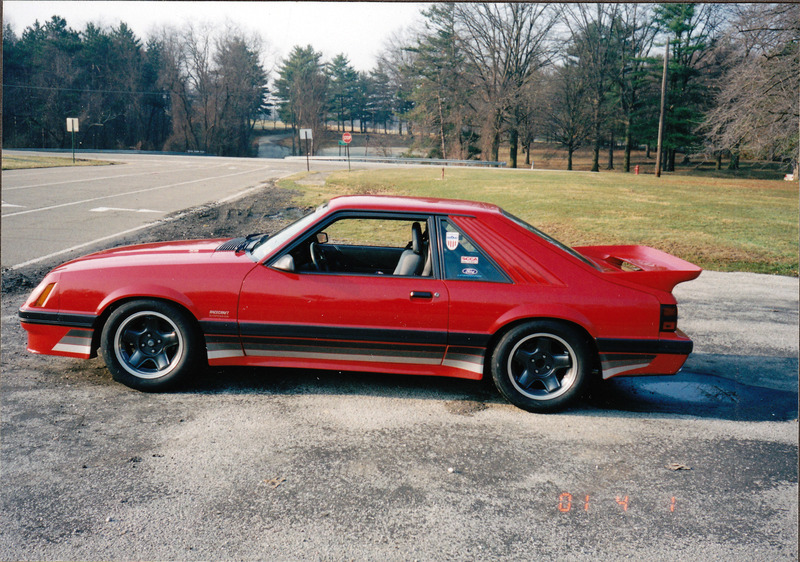 The body style breakdown of those street models are, 187 hatchbacks and 11 convertibles. 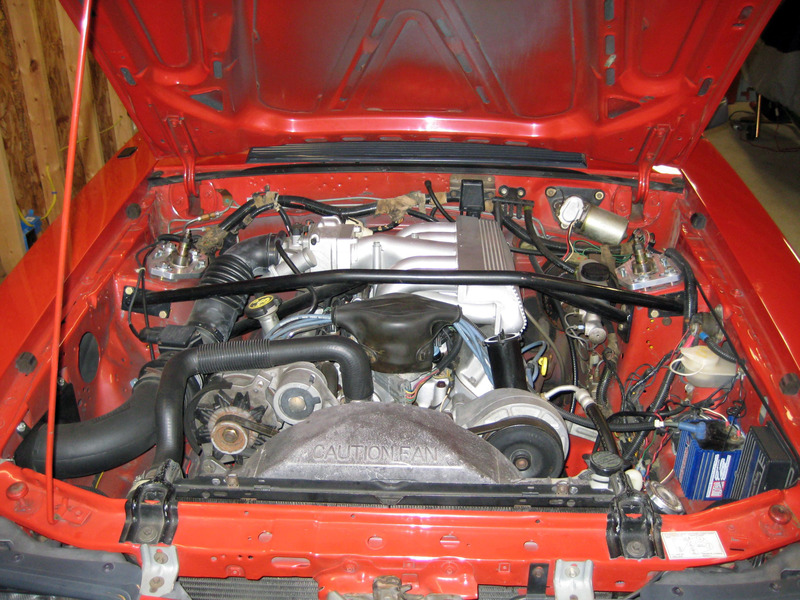 Of the 187 street prepared hatchbacks, it is known that 47 were painted Bright Red (paint code 2R). 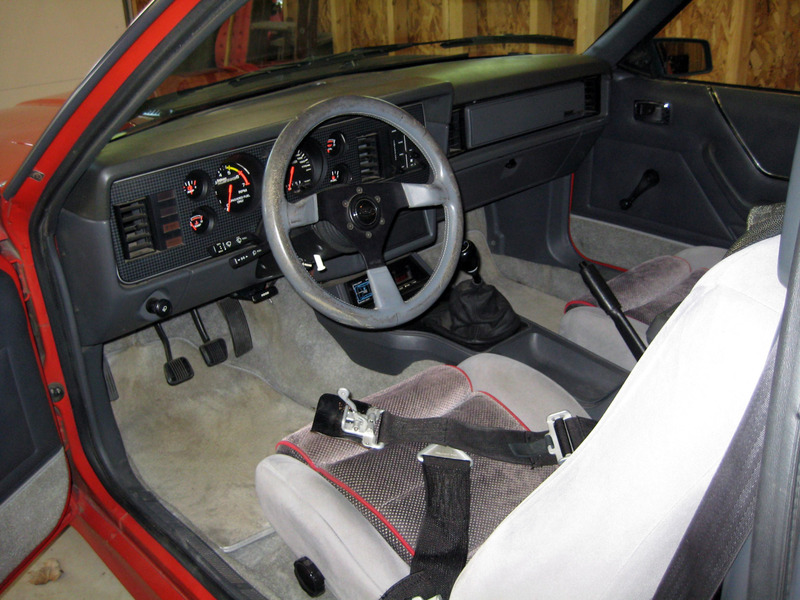 Of those, 44 featured Charcoal interiors. 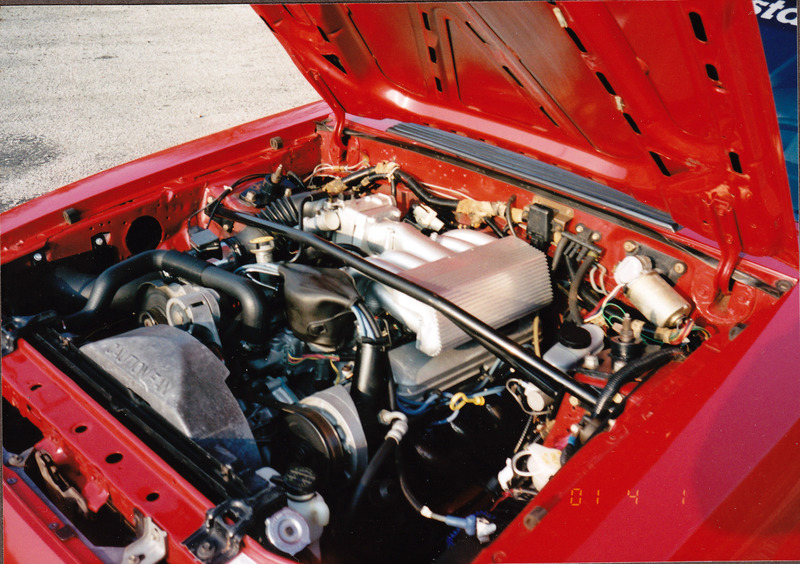 All 44 were equipped with 5-speed manual transmissions, while 43 were built from the LX 5-Liter platform. 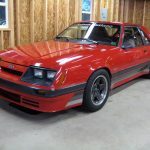 Closer examination of these 44 Bright Red with Charcoal interior conversions reveal, 35 were equipped with Saleen’s Kenwood Stereo. 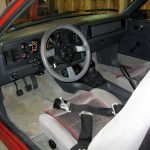 Of the 187 street prepared hatchbacks 86-0068 is one of three with delete features and one of three known with a light grey Momo steering wheel.